Flooring can play an essential part of any apartment when you consider the impact it has on the look, feel and functionality of your living space. Your lifestyle, needs and budget will certainly play a role in your decision-making, and your choice should be about balancing between your needs and style. Color, texture and pattern will all come into play when creating a living space that is both a reflection of your personal aesthetics and inviting to your guests. No other floor coverings in today’s market offer as much decorating flexibility and options as area rugs and carpeting. Used properly both can help you define and separate areas within your apartment, with each area designated for a specific purpose. By defining areas in your living space, you will be able to establish the type of functionality in your apartment that is required to support your lifestyle, while creating an uncluttered appearance which, usually occurs within a small apartment. Working within large spaces you will be surprised to see how easy it is to create unique focal points throughout your apartment by use of either an area rug or carpeting. Color should always be your starting point. If your accessories or furniture pieces have a lot of color you may want to go with a single-color in your carpet or area rug. For smaller apartments you may want to choose lighter and brighter shades of color to open up your space, while rich, darker colors have a tendency to make spaces appear smaller for a warm and cozy feel. The most important factor is not the matching of colors between your area rug or carpet and your furniture and accessories, but how they blend together. 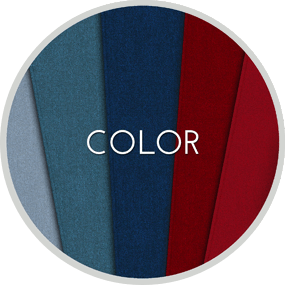 If you are seeking to create a primary focal point or point of interest in your living space through the use of an area rug or carpet, choosing a unique palette of contrasting colors will make a bold statement. There is no single design element in any living space that can serve as a focal point of great inspiration for your décor than color. Never underestimate texture. The use of texture and layering of an area rug over carpeting will provide a warm and rich appearance, an easy way to bring attention to your floor. Whenever you are dealing with texture you should always try to establish contrast between your accessories, furniture pieces and your area rug or carpet. 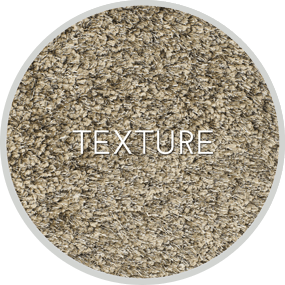 It’s important to note that the texture within the pile of your area rug or carpet should fit your lifestyle. Pet owners should stay away from area rugs or carpet that feature a high-pile, as animals such as cats and dogs like to scratch at the surface of soft floor covering products. If you have children or like to entertain often, you should think about a low-pile area rug or carpet as they are easier to clean and maintain compared to a shag pile. When dealing with pattern choose an area rug or carpet that you truly love and build from there. Make a strong statement with your area rug or carpet, most times it’s better to start with a large-scale pattern. 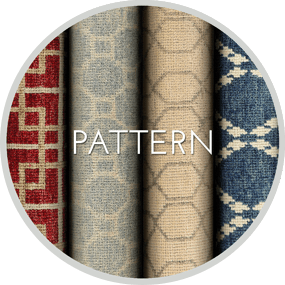 Once you have selected your pattern, your accessories and even your furniture pieces should have some of the same colors offered in your area rug or carpet. However it’s important not to have the same color palette throughout. Balance your patterns by using complementary colors or neutral colors within smaller accessories. Bold patterns, large-scaled floral, abstract or geometric patterns on either your area rug or carpet can make a setting in your apartment appear larger. However, when utilizing larger patterns, especially in an area rug it’s important that you plan your furniture placements properly to avoid covering up your pattern of choice. In addition to enhancing the appearance of your décor, both area rugs and carpeting offer several other attributes that are perfectly suited for apartment life. Area rugs and carpeting can be used to cover the unsightly stains and imperfections that may have already been established in your apartment’s hardwood, concrete and linoleum flooring. However area rugs and carpeting should never be used to cover damaged flooring that could result in injury to yourself, family members or guests. Area rugs and carpeting absorb sounds. Adding a cushion beneath either will reduce noise even further. Both also work as sound barriers between floors blocking sound transmission to spaces below. The echoes that you may first hear while moving into your new apartment diminish greatly with the installation of carpeting or placement of an area rug. Area rugs and carpeting can increase safety in your apartment by reducing slips and falls and minimizing injuries when falls occur. While both provide safety protection for everyone, it is particularly helpful for children. Area rugs (and especially carpeting), provide thermal resistance. In colder climates or seasons both retain warm air longer, providing an energy conservation benefit.